We have Partnered with Humane Society International! We at Carters are so very excited to be able to assist in finding these dogs their forever homes. We have accepted five of these beauties into care. Keep an eye on our website as we formally announce their arrival, post their new pictures and adoption availability!! 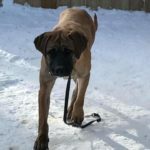 TORONTO (12 Dec 2017) – Just in time for the holidays, Humane Society International/Canada is transporting 50 dogs, rescued from a horrific South Korean dog meat farm, to a temporary shelter in Cambridge, Ontario. 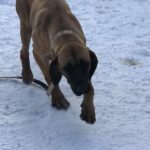 The dogs will receive veterinary care and attention before moving on to shelters and rescue groups in Quebec and Ontario. This is the tenth closure of a South Korean dog meat farm by HSI. 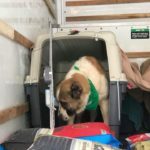 In total, more than 170 dogs have been rescued from the facility and are being sent to North America and the United Kingdom to find forever homes. HSI/Canada rescuers are in South Korea now assisting with the dog meat farm closure and are available for interviews. Following the arrival of the dogs in Canada, journalists are also invited to attend a press conference and tour of a temporary shelter in Cambridge, Ontario where the dogs will receive care. Campaign experts will also be on hand in Cambridge to answer any questions and field interviews. WHY: To find forever homes for severely neglected dogs rescued from the cruel dog meat trade. These dogs will serve as ambassadors for our campaign to end the global dog meat trade, for which 30 million dogs are brutally killed each year. The dog meat trade is most widespread in China, South Korea, the Philippines, Thailand, Laos, Viet Nam, Cambodia and Nagaland in northern India. In South Korea, an estimated 2.5 million dogs are intensively farmed for the meat trade annually in gruesome conditions. HSI works to transition dog meat farmers to more humane industries and transports the dogs to regions where they can be rehabilitated and adopted. One Response to "We have Partnered with Humane Society International!" Recently a news story showed new arrivals to Canada. There were pictures of dogs chained to kennels in their country of origin. I was interested in the large white dogs with fluffy white fur and tails that curved over their backs. They reminded me of my Karilien Bear Dog in their appearance. Have these magnificent white dogs been spared a cruel fate? Are they available for adoption?